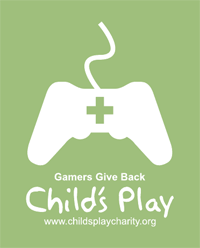 As of December 23rd, 2011, we have so far raised and donated $30,741.89 for Child’s Play! That’s $2,962.77 since our September update, all of which has already gone directly to the charity. That closes out the year with $20,212.18 having been raised and donated in 2011 — smashing our 2010 numbers, and well more than doubling our original goal of $14,000.00, which we could not be more pleased about. And sales of Children of Neinzul are still going strong, so there’s a chance we might be able to hit triple our goal by the time 2012 is over. We’ll keep everyone posted on how the donations are doing. Once again, we’re ecstatic to continue our on-going contributions! « AVWW Beta 0.555, “Headshotting, Kneecapping, and Ice Pirate Patrols” Released!